3/14/2019 St. Patty's Day MAPA KIS Race results: Very windy conditions, low tide. Tough conditions 5:63 miles. * WCC b was paddling a older canoe that is about 100 pounds heavier and has a less efficient hull design. MAPA placed first in the Mixed Division at the ECORA Kent Island Relay, a 36 mile race around the island completed by two teams of six. There was a record 17 OC-6 teams competing in men's, women's and mixed divisions. This is the third year in a row that MAPA has won the mixed division. Big thanks to our coach Rusty for putting up with all the opinions and having the patience to "heard the cats" and to Freda for towing the boat. Thanks to everyone for pitching in for a successful race. April proved once again to be a very important support crew for us. It was fantastic to have Margo here from California. Good luck on the upcoming Catalina Island race Margo........Speaking of Catalina, I think we're super happy to have our newest paddler Catalina paddling with us. She did a great job in her first real distance race. Great job Catalina! Congrats to team members: Greg, Jim, Freda, Adrienne, Susie, Kyle, Leza, Tim, Margo, Charlie, Catalina, and Rusty. Go MAPA!! To see more photos click on this article heading. Wow! What a great race and post race party!! Thanks to all of you for making it happen, I had a blast! Thanks to my volunteers, Mike and Susan Ryan for their “we know what we’re doing go away Chuck” attitude and help, and thanks to Chris Hawes for manning the grill, and everyone who helped me load/unload boats on the trailer. For pictures of the event click on this article heading. The Results listed below are as accurate as the handwriting is legible. Disagreements/protests must be submitted to the director within 24 hours for consideration, along with something cold in a green bottle. Short race-Dominated by Tony “The Bronx Avenger” Rodriguez, this race featured a full slate of first time racers, w/the exception of Sarah Conley. Tony was first, followed by Team Skinny Chicks, consisting of Annette Conley and Shannon Thompson. Close behind were Sarah “Mad Dog” Conley, Henry “the iceman” Thompson, and Anna “the knife” Thompson. All did a great showing for their first race and showed a lot of heart! Hope we see them again. Reid's Dad Roy recently emailed me to let me know that Reid was participating in his fourth ICF Marathon World Championships in Portugal. Since Reid began his paddling with MAPA Roy wanted me to pass the news along. Reid is also participating in the Mayor's Cup in NY next weekend paddling for team USA. This is the quadricentennial and team USA is racing against team Holland. Good luck Reid and thanks for the update Roy! 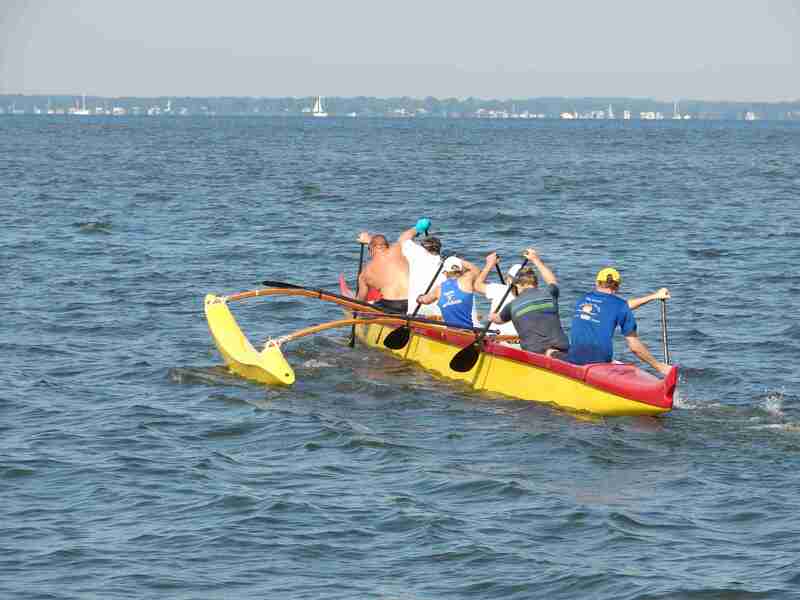 Congrats to all the hardy paddlers that came out for the Seaford Challenge. It was a beautiful day but the brisk North wind made for challenging conditions. Thanks to everyone for taking the time to come out and race and big thanks to Catalina, April, Amy and Coralie for helping with the race. MAPA is always happy to have the WCC folks come down and play so thanks to Mitch, Kelly, Blaise, Kathleen and Nat for running the I95/64 gauntlet.